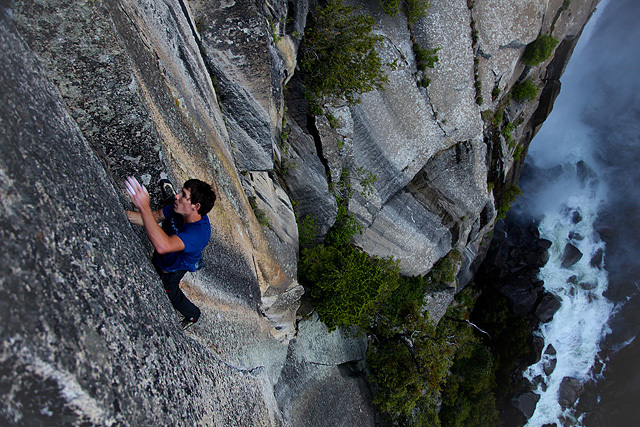 Alex Honnold is an American rock climber who does amazing ascents of big walls without the use of any safety equipment. In a segment of 60 Minutes, he's climbing the mountain face of Sentinel in Yosemite National Park. I couldn't believe my eyes the first time I watched this, seeing him looking into the camera smiling and whistling, and being so relaxed.